To properly maintain commercial property, employees need to regularly inspect various aspects of the property. To be able to demonstrate these inspections actually occur, they need to be documented. Pen and paper are not the most robust solution. SBN has created commercial inspection software that allows inspectors to electronically document their inspections in the field. Inspectors simply create a commercial property inspection checklist which they then have access to from their mobile device. Out in the field, inspectors can access their custom commercial property inspection checklist and complete it whether or not there is wifi access in the location. 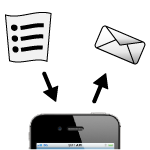 The inspection is instantly documented and can be emailed or analyzed. 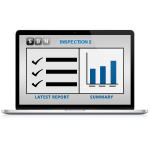 Inspectors can also run various reports using our commercial property inspection report software. 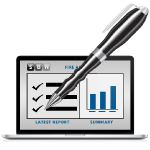 SBN’s commercial inspection software and commercial building inspection report software work seamlessly together allowing inspectors to create inspection checklists, document them in the field and generate various reports, all which can be completed from the field. Using our administrator’s tool, users can identify the parameters of the report including running history reports of prior inspections to see if changes have occurred over time. These reports are then created automatically by the system.